$2.99 to $59.99 & FREE Shipping on orders over $59 $35. Syrah is a Cote du Rhone isolate used for Syrah, Merlot and Carignane. It is a high glycerol producer and offers good mouthfeel and stable color extraction. It requires high nutrient levels and shows the best sensory results when rehydrated with GO-FERM. Typical aromas include violets, raspberries, cassis, strawberries, black pepper and grilled meat. 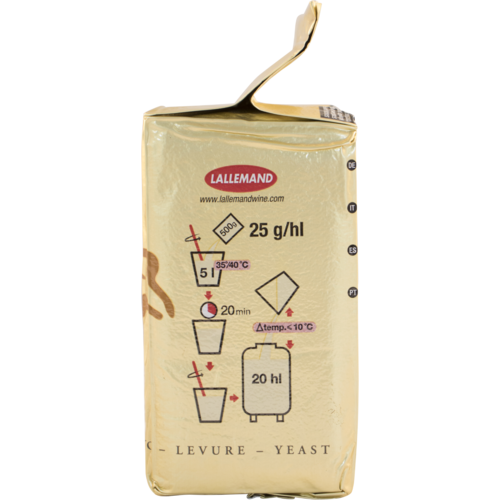 This is a great all-around yeast, which can be used by itself or for it's mouthfeel and top-notes in a blend. Best results with fermentations between 59 and 86 degrees F, alcohol tolerant to 16%. Using this for Pinot Noir. Liked how it worked last year? Looking for a good dry yeast for red wine. It's the best yeast for typical Syrah flavors and aromas. I have Petite Syrah grapes and have used this yeast before. I use this yeast for mourvèdre, syrah, carnelian, and malbec and get good consistent results. This is the kind of brotherhood of grape and yeast that evolves over centuries and powers the native ferment movement. These two seem made for each other by natural selection. Syrah is my first choice for fermenting syrah and I love Rhône blends and varietals. 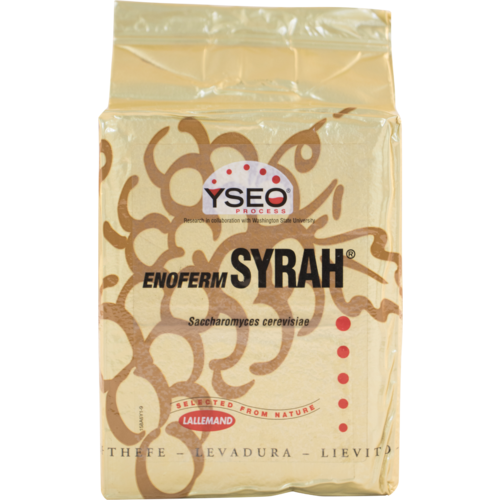 Syrah yeast is great for adding spice and interesting layers to your Syrah fermentations. Perfect choice for adding spice to Syrah fermentation. I have used Syrah yeast for the past five years on a portion of my Syrah fermentations to add a layer of white pepper spice. Highly recommend it's use, but be aware of it's nitrogen needs.